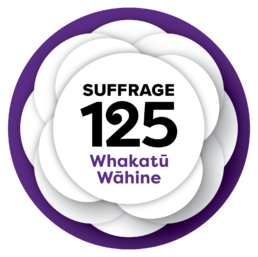 What does the Suffrage Movement mean to you; your family; your whānau; your identity? The suffragettes endure as an icon for women everywhere– they were fearless, passionate and dared to imagine a future where women were the equals of men. Their courage to challenge the expedient serves as a timely reminder of how the advancement of feminism is still radically unfinished. This ongoing fight for equality is made all the more relevant today, and encourages us to celebrate the fact that we have a young female figure not just in New Zealand’s political scene but leading the government. This reflects how this iconic campaign, which emancipated an entire class of society, continues to resonate with young women– and I am no exception. It forms an undeniably fundamental component of our identity, and this milestone perhaps serves as a timely reminder that it must not be taken for granted. We must continue to celebrate their victory– and persist in fighting for the values we believe in, like the trailblazing suffragettes who paved the way for us today.